Nevertheless, the Metropolitan police has issued a statement to say that despite the Swedish Prosecution decision, they continue to want to arrest Julian Assange. Following the release of Chelsea Manning on Wednesday the Swedish chief prosecutor Marianne Ny has today decided to discontinue the preliminary investigation concerning Wikileaks editor Julian Assange. Now that this investigation has been dropped it is only correct that the British Government allow Julian Assange to leave the Embassy of Ecuador and travel freely to a destination of his choosing. Over the last seven years Wikileaks have published; The Iraq War Logs, The Afghan War Diaries, Collateral Murder, Cablegate and numerous other government documents that have shed light on the true nature of the wars that we fight. As a result, Wikileaks editor Julian Assange has powerful enemies around the world, none more so than the government of the United States of America. The Metropolitan Police Service (MPS) in London said after the news was announced that it remained obliged to arrest Mr Assange should he leave the Ecuadoran embassy on a lesser charge of failing to surrender to a court. This is beyond the pale. Julian is a fearless anti-war publisher and he remains under threat of imprisonment. Now is the time to demand his safe passage from the Embassy of Ecuador in London to a destination of his choosing. “I don’t think anyone can predict that. What we do know is over the years , both before his original arrest and afterwards Julian Assange has made some very powerful enemies. If we look at the information that is being released by his organisation WikiLeaks , you’ve got the Iraq War Logs the Afghan War Diaries, Collateral Murder Video, Cablegate, and it goes on and on and on, this is fearless publishing and he has upset a lot of powerful people and it’s not just Trump or Clinton. He has upset pretty much the whole of the American security apparatus, where that is the CIA, the NSA or the American military. 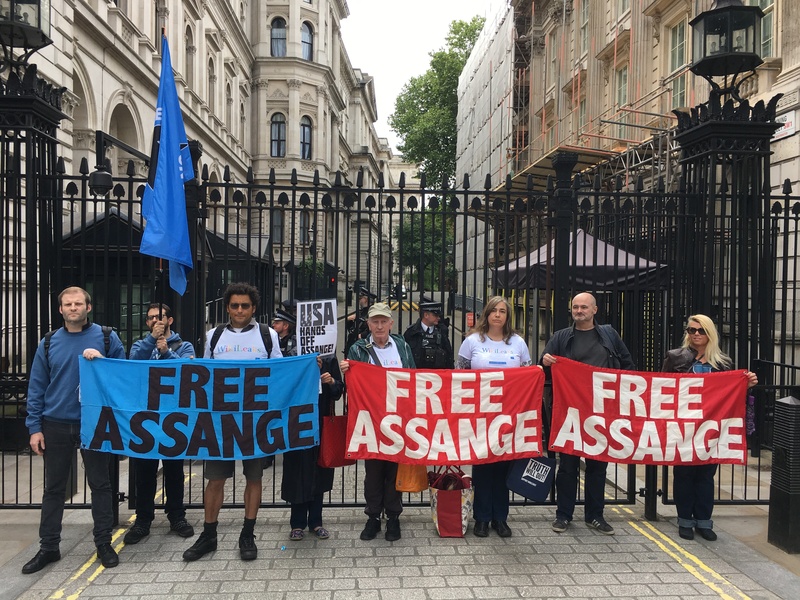 It is therefore imperative that the UK Government provides Safe Passage for Julian Assange travel to a place of safety and finally enjoy the political asylum that has been granted to him.